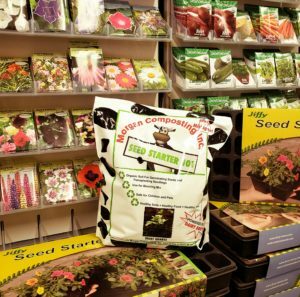 If you’ve been thinking about starting plants for your backyard garden or flower beds we’ve got you covered! 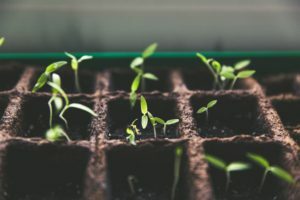 Growing plants from seeds is a cheaper option, allows you to give long-growing plants a headstart inside, and gives you the chance to truly grow organic if you choose to. Growing from seeds is a great project to complete with kids, but can also be a relaxing and enjoyable pastime for you! If you’ve never tried starting seeds (or you have and it didn’t end well) let us walk you through the steps. Healthy plants come from healthy soil. Healthy plants are better able to withstand disease, drought, and pests, PLUS they bloom brighter and taste better. Starting with a quality soil is really the most important step. 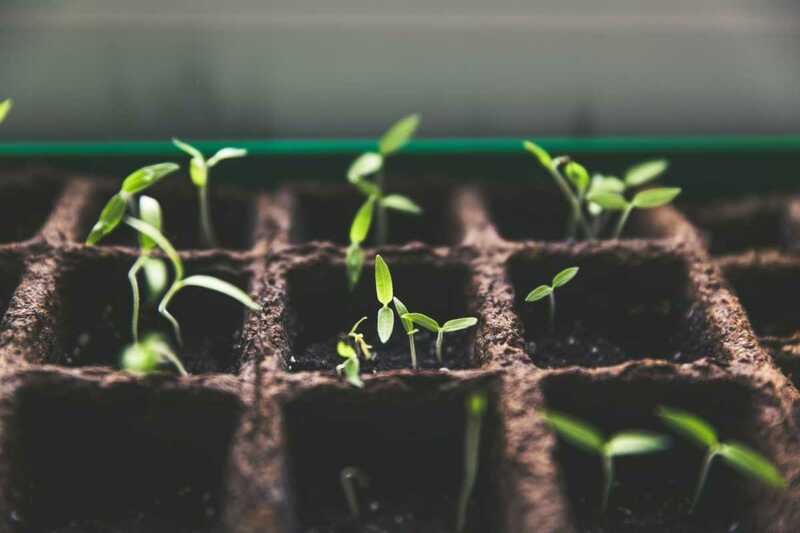 Soil for seeds should be gentle enough for tender plants but also include nutrients that will help them grow strong quickly. 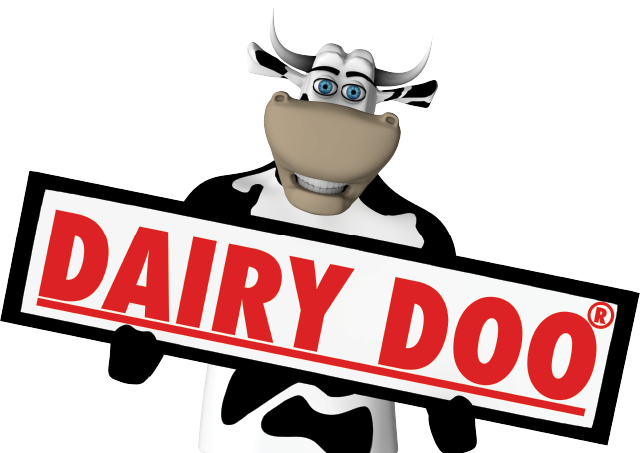 Seed Starter 101 from DAIRY DOO is a lightly fertilized potting soil with nutrients like potassium, phosphorus, calcium, nitrogen, mycorrhizal fungi, and worm castings. All of these are added naturally- making our Seed Starter 101 organic, natural, and totally safe for kids to work in. There are many options for planting your seeds. You can use seed trays, CowPots, repurposed egg cartons, or another container. When choosing your container, think about how you’ll be transplanting them. Do you want to use a biodegradable option for an easy transplant or do you want a container you can reuse next year? There are also many seeds to choose from. Are you growing veggies or flowers? Are you looking for organic seeds or conventional? You may even have an old seed packet or two in your junk drawer at home. You can still use these, even past their expiration date, you just might not see as many successful plants versus a brand new packet of seeds. After making your choices, fill your seed tray with Seed Starter 101 and follow the care instructions on the seed packet. If you’ve tried starting seeds before and it didn’t go well this part might make you nervous. Some seeds take time to emerge from the soil so be patient, trust the process, and wait to see what comes. About 3 weeks after emergence your plants will be ready for their first transplant to prevent them from becoming pot bound. Every time a plant is introduced to a new environment (indoor to outdoor, shade to sun, new soils) the plant experiences shock. Depending on the plant, and how different the new environment is, it can take around a week for the plant to adjust. To lessen the shock of transplant, continue to use quality soils that will help the plant flourish while you move to a larger container. FlowerDoo 201 is a great choice for your first transplant. This soil has more nutrients than Seed Starter 101 but not so much that it will burn your plant. Even vegetables will perform better in FlowerDoo 201 until they are over 8 inches tall. After vegetables are over 8 inches tall, they are ready for VeggieDoo 301- a potting soil with high levels of nutrients to produce more bountiful, nutritious and DELICIOUS vegetables. 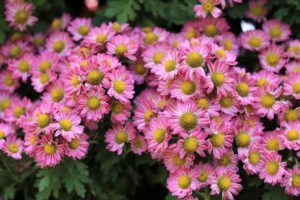 As your plants continue to grow, you can transplant again, this time directly to the garden, hanging basket, or outdoor container. 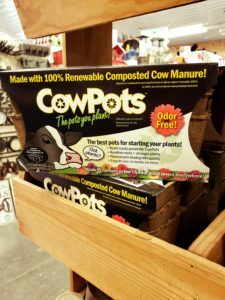 If you are planting into the garden or flowerbed, check out our line of soil amendments to be sure the plants you’ve started will continue to grow healthy and strong, producing the blooms, fruits, and veggies you want!